One of the best personal finance tasks I ever took on was building a personal net worth calculator. It was a simple little thing (in fact, I wrote a tutorial on how to build one in any spreadsheet program you have, very little knowledge required). All it did was add up all of my assets, add up all of my debts, then subtract my debts from my assets, leaving me my net worth. The spreadsheet simply consisted of a list of all of our significant assets – our retirement accounts, our checking accounts, our savings accounts, our vehicles, our home – and their approximate values. It would also include each of our debts – credit cards, car loans, mortgages, and so on – and their current balances. All I had to do was enter the new balances and values for each of these things at the start of the month, and the spreadsheet would automatically calculate my total assets, my total debts, my new net worth, and how each of these numbers compared to the previous month and to the previous year. For years, I did this diligently every single month. It almost became a ritual for me. I’d open up that spreadsheet, gather up all of my information, and then either revel or despair in the results. It was an enlightening and valuable experience. Why was this so worthwhile for me? First of all, the whole process gave me an incredible amount of motivation. Each month, I felt strongly motivated to make sure that my net worth went up. It was a very simple way to check whether or not I was truly living by the “spend less than you earn” mantra. If my net worth went up, then I was spending less than I earned. When that happened, it felt good. It felt like I was making good decisions in my life. The change in net worth became a big driving factor in my day-to-day decisions. I would often use that number as a motivator to make lots of little choices throughout the month. I would choose not to stop at the bookstore, for example, because I would tell myself that it would hurt my progress with that number. Perhaps just as important, the numbers would clearly tell me if I wasn’t following a good financial path. If I didn’t see an increase like I expected, or if I saw a net worth decline, I knew I had to shape things up. Numbers don’t lie. If your net worth goes up over a given period, particularly if you don’t have a large amount of money invested, then you were making good financial choices during that period. If it goes down, then you were perhaps making poor financial choices during that period. At the very least, a decline means that you need to look into the reasons for that decline and likely make some changes. Avoiding the numbers is a mistake. If you choose to trust your instincts or your gut feelings when it comes to your finances, you’re almost always going to find yourself bitten by those instincts. It’s incredibly easy to overlook and forget about little things along the way. When you rely on the numbers, the little things don’t just disappear on you. Eventually, I reached the point where the ups and downs in my retirement savings and my children’s college savings were having more of an impact on my net worth than any of my personal choices, so the routine became less important. Over the years, though, the process instilled in me a great deal of accountability about the power of the little decisions I make every day. 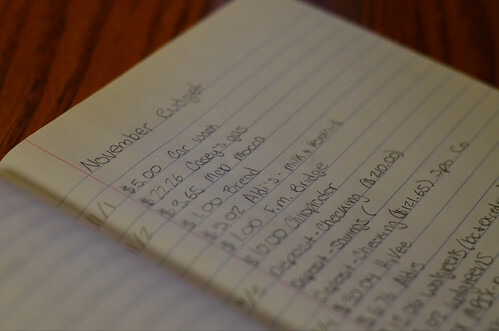 If you’re struggling to get your finances in order, start making yourself accountable. A simple net worth calculator is a great place to start.